Jerry Brunetti is worldwide lecturer specializing in the formulation and production of health products for farm livestock, equine, pets and humans. 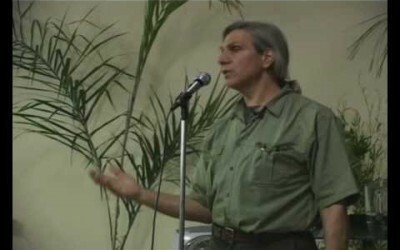 Jerry possesses an unequalled knowledge on the dynamics of biological systems, aiding the spread of awareness between the link from produce, farming and nutrition to the teachings of a healthy lifestyle, mind and body.His battle through non-Hodgkin’s Lymphoma was overcome through a self taught radical dietary approach which strengthened and improved his immune system. 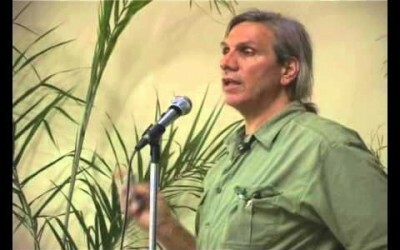 His immense driving force, saw him breakthrough the cancer’s stronghold and his dietary methods have since become a sought after practice and teaching.His lectures are plentiful and his vast agricultural knowledge sees him travelling worldwide to promote sustainable stock health and biological methods of growth and sustainability. 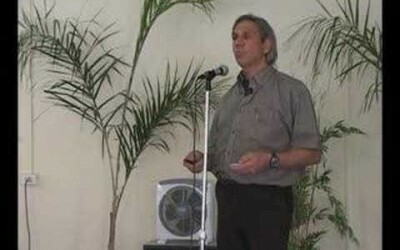 He is the Chief Executive Officer and creator of Agri-Dynamics and Earthworks, which manage the long term health and wellbeing of stock and manufacture a range of biological fertilisers, respectively.Jerry’s experience, stemming from a degree in Animal Science and multiple years of hands-on farm management, allowed him to act as the Dairy Director for the National Farmers Organisation, permitting him to pursue his studies and observation of anti-biotic residues and alternatives to allopathic drugs. 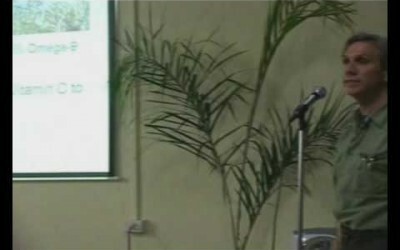 This allowed him to be better versed in the construction and works of Agri-Dynamics, to ensure he created a broad range of defensive and natural formulas based on herbs, oils, probiotics vitamins, minerals and so on. Livestock Nutrition – how the digestive system works, essential & non-essential amino acids, acid /alkaline balance, essential fatty acids, true protein, which hay makes more milk, culling techniques. Soil Fertility – the formulas for soil building benefit of cover crops, soil micro-organisms, the carbon and nitrogen cycles, forage analysis, principles of soil management, the importance of humus & preferred fertilisers. The Importance of Macro & Micro Elements – the history of diminishing trace elements, changes in mineral content in grains, 31 minerals beneficial to animal life, typical plant composition, what minerals do, deficiencies & free choice recipes. Forage Diversity – average composition of tree crops, comparison of benefits of various herbs, grasses and trees compared to lucerne, the value and function of hedgerows, & the impact of birds on insect populations. Enzymes – 5,000 known enzymes divided into 3 basic groups: metabolic, digestive and food enzymes; impact of enzyme deficiencies discussed. 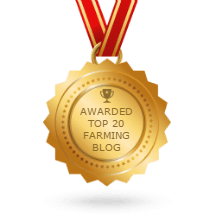 Moulds & Mytotoxins – causes, effects, how to mould proof your farm, & how to deal with mouldy feed. Parasites – importance of forage diversity, overstocking, land rotation, value of free choice minerals especially kelp. “Food as Medicine”, Is the brand new 2 DVD talk which elaborates on the beneficial chemical compounds found in certain foods that help prevent and reverse the effects of cancer and other chronic and degenerative diseases that affect us. 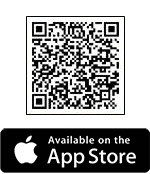 It is for this reason that everyone should have a copy of this mind blowing talk that can change the way you and everyone else views the world of food and medicine. 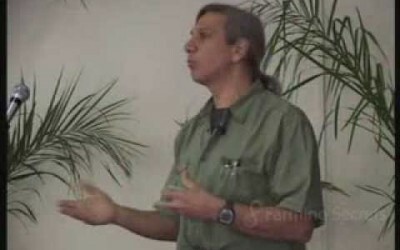 “Food as Medicine” is a compelling and informative talk about the power food has to optimize your internal systems. Jerry Brunetti explains the complexities of nutrition and what we are missing in our bodies such as chromium and selenium in a way that everyone can comprehend. It is inspiring and life changing information! 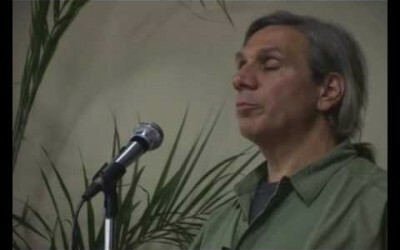 www.farmingsecrets.com Jerry Brunetti's presentation is recorded in full and is one compelling story! To claim your copy "Food As Medicine" head straight to our store: www.farmingsecrets.com/store Great viewing and heaps of excited reports from others! 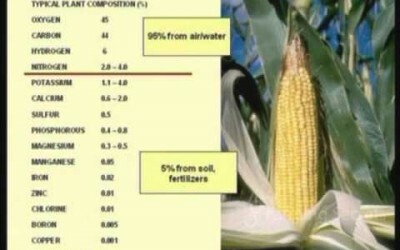 Hear Jerry talk about the nitrogen/carbon cycle. 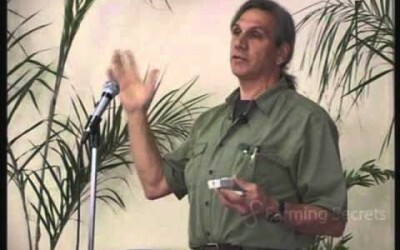 Listen as leading animal nutritionalist Jerry Brunetti talks about energy. We all need energy which ultimately comes from the sun. Are you aware of the benefits of minerals to animal life? 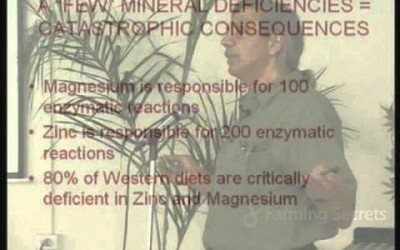 Everyone ‘s health and functioning relies on minerals and Jerry’s 2 day course really brings this home. It is an eye opener to hear just how important minerals are for a healthy body. Is a lack of them causing many modern ailments especially a lack of fertility? 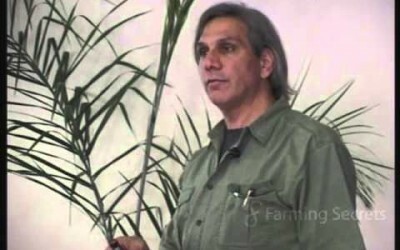 Jerry Brunetti talks about the 3 aspects of soil health which must be managed for whole farm sustainability. The importance of knowing your manure as a health indicator! A simple observation of what you and your animals are excreting is a primary health indicator. 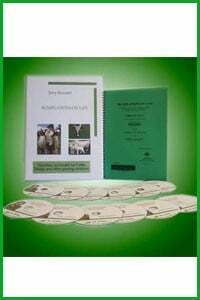 The 6 DVD set “Ruminations On Life – Nutrition and Health for Cattle, Sheep and other grazing Animals” is the best resource anywhere for a detailed whole picture view of natural, healthy farming. Jerry is a walking encyclopedia with a vast storehouse of knowledge which all of us would do well to listen to. 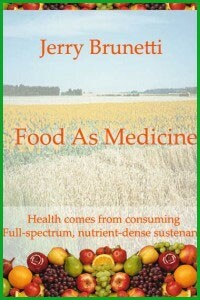 What do others say about Jerry Brunetti’s “Food As Medicine”? 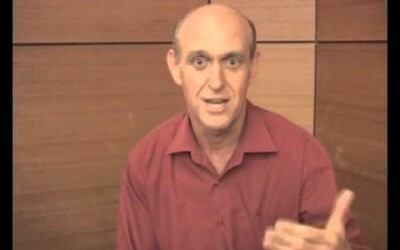 Listen as experienced naturopath, Wayne Pickstone, talks about thevalue of Jerry Brunetti's2 DVD set "Food As Medicine".To find out more go to: www.healthsecretsrevealed.tv NOW! 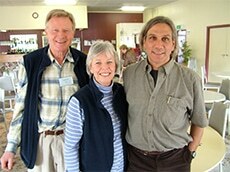 Jerry Brunetti “Food as Medicine” Part #4 of 5- We aren’t living as long as we used to! 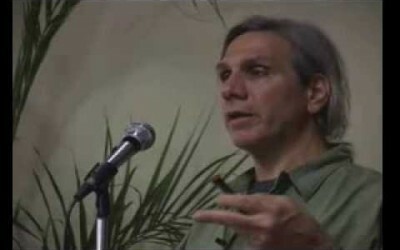 Jerry Brunetti “Food as Medicine” Part #3 of 5 – Low Fat is NOT Good Fat! 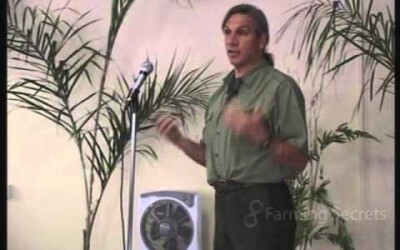 Jerry Brunetti “Food as Medicine” Part 2 of 5- Cholestorol is GOOD for you! How do enzymes affect animal and soil fertility? 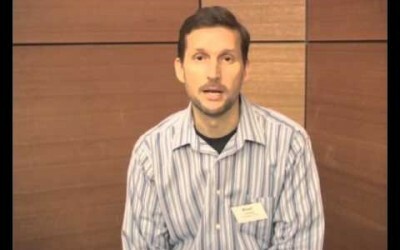 Watch this video to hear Jerry Brunetti discuss what are enzymes. What role do they play? What do enzymes have to do with infertility? Hear how the current wave of fertility clinics was predicted over 50 years ago. What can you do about it?